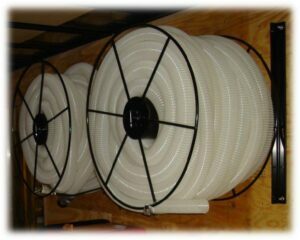 We can get those bulky hoses out of the way and neatly stored for another day. 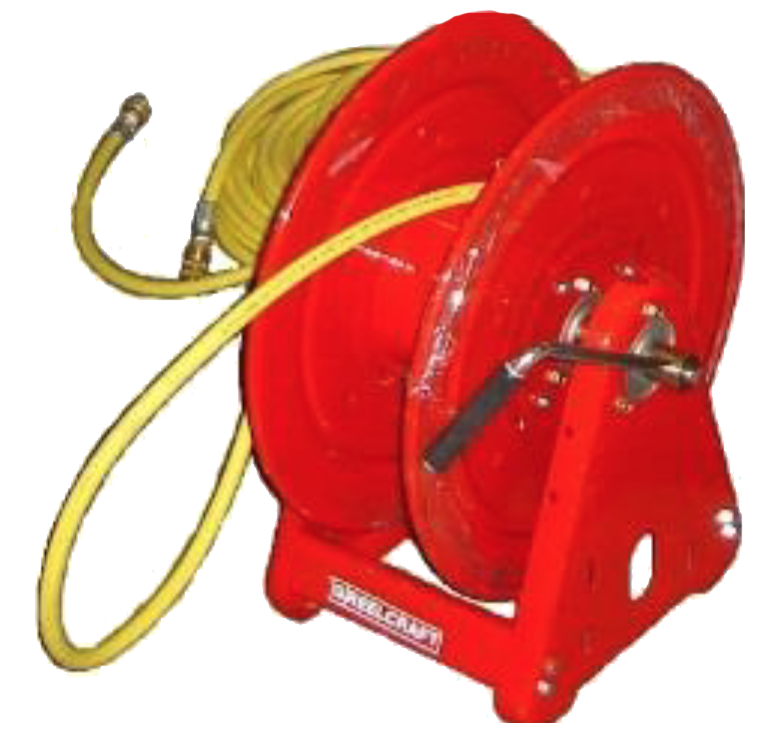 Our hose reels offer the best solution to one of the more cumbersome tools of the trade. With the variety of sizes and configurations in our lineup we give you the choice of how to neatly store your hoses. Offered in fixed wall or floor mounted versions for truck/trailer fastening, or wheel mounted mobile bases for ultimate portability. Going where no other reel has gone before! 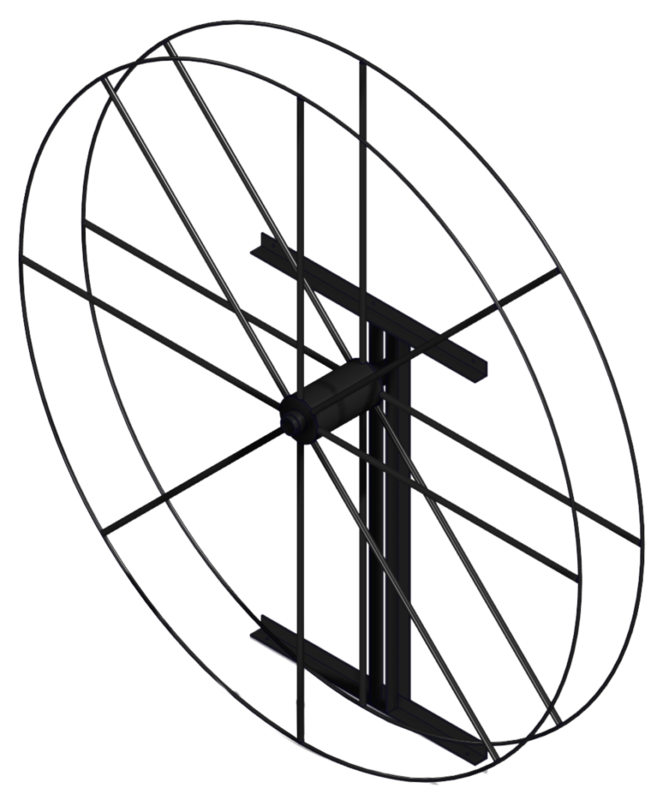 Floor mount option shown. Wheels available as well as “live” option. Location, Location, Location… sometimes you just can’t find the room you need, and that’s where this reel comes in. While compact in size to fit where other reels can’t, this reel will still give you the convenience of safely stored hoses. Get wound up with our MOST POPULAR reel! 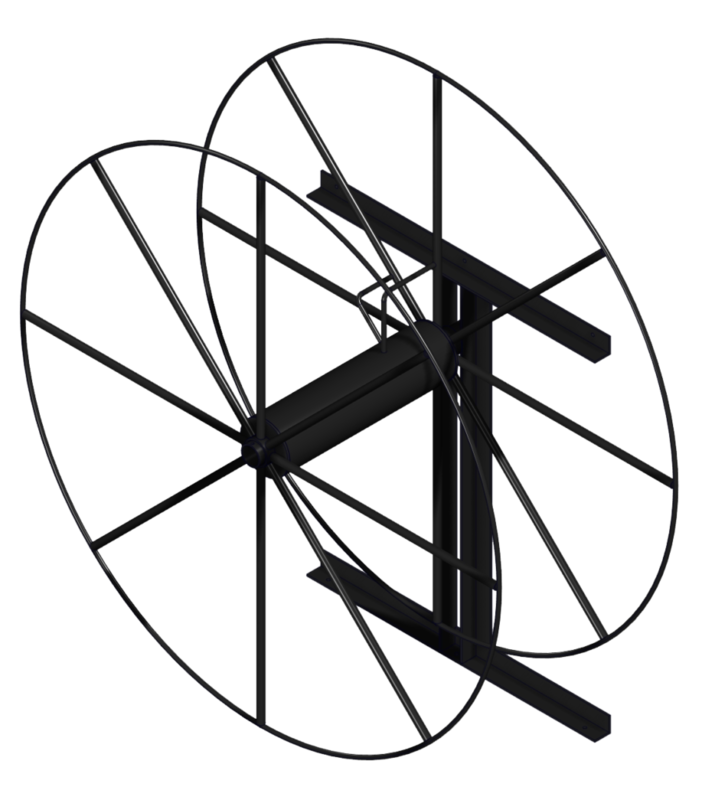 Floor Mount shown. Wheels and “live” feature also available. Our most versatile reel, this classic will accommodate hoses from every aspect of the industry. 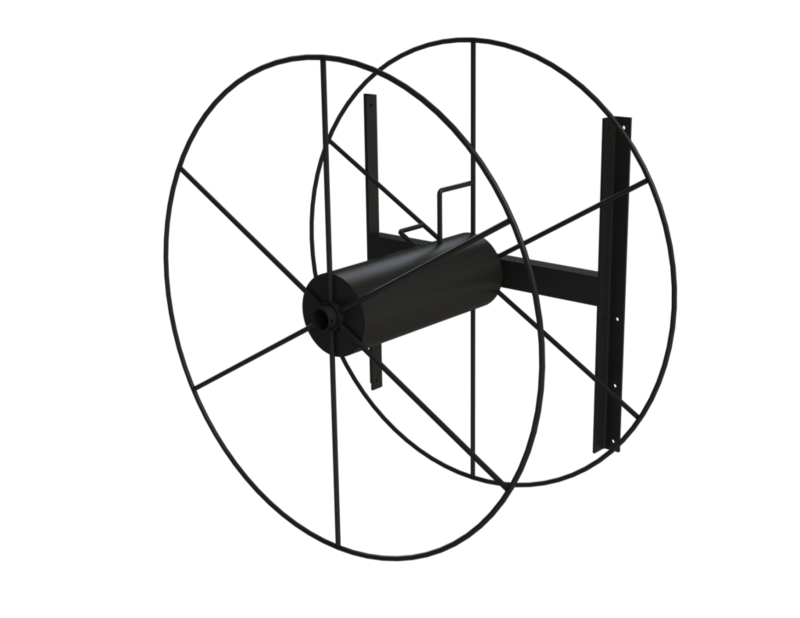 And with our wheeled floor mount base, it;’s easy to see this reel is going places. Not only is it our most popular standard reel, but it is our most customized. 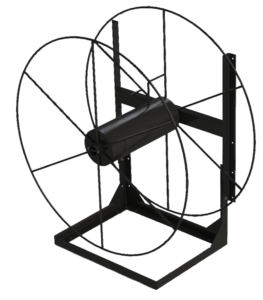 From specialized mounting systems to reels divided to accommodate a variety of hoses, this reel can handle it! A compact solution to Large Hose Storage! Floor Mount Reel shown with locking wheel kit. Also available in a “live” reel system. Our Gas Vacuums move a lot of air and fiber which requires a large hose, and storing large hoses can be difficult… especially where space is limited. 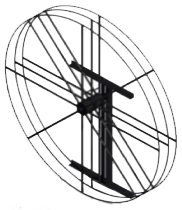 The 60″ Vac Reel was designed specifically for the gas vacuum hose in mind. While being compact, this heavy-duty, high capacity, mini-monster of a reel will tame those larger diameter hoses. The BIGGEST reel in our arsenal! Have a gas vacuum and don’t want the hassle of wrangling that cumbersome hose? 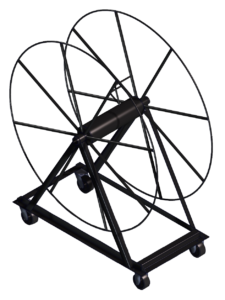 This reel is perfect for lugging around those large diameter (4″-6″) vacuum hoses. Or perhaps you are looking for a quick deployment single stack reel for that blowing machine? 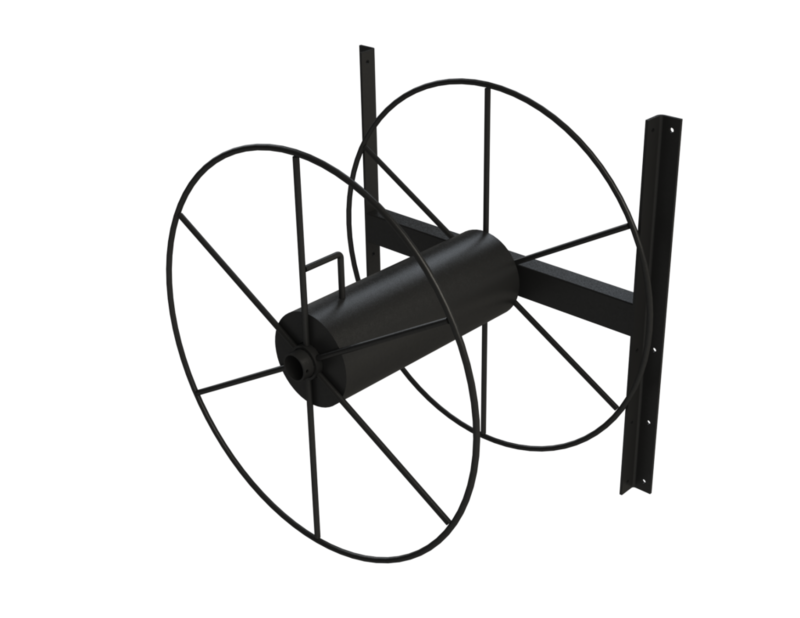 With the optional divider, this reel will carry separate hoses in varying diameter. This Reel can take the pressure! With a max pressure of 1000 psi and 250 max water temp., this is the perfect companion to any of our pump systems!